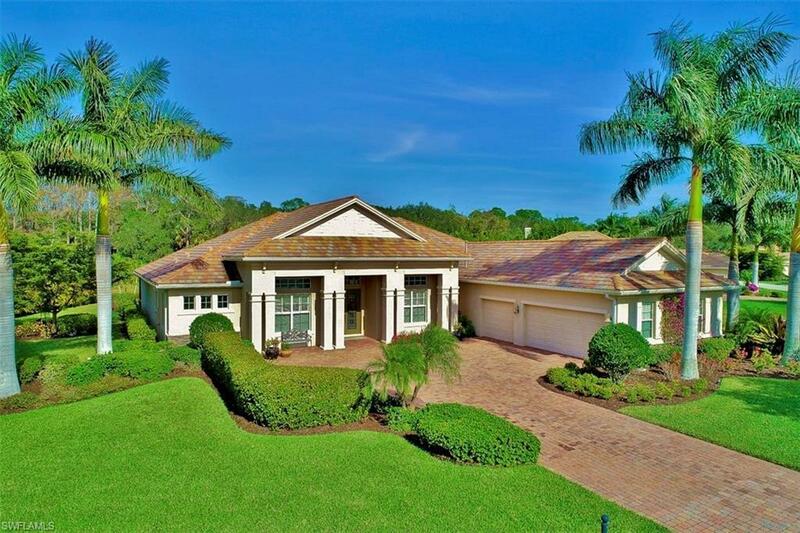 EXQUISITE FORMER MODEL HOME WITH PLENTY OF UPGRADES AND LOCATED ON PREMIER OVER-SIZED ESTATE LOT WITH PEACEFUL LAKE VIEW & WOODED PRESERVE BEYOND! Large 3,168SF open floor plan that contains 4BRs & 4BAs (2 are 1/2 baths) and 3.5 Car Side Load Garage on 0.69 Acre Lot. 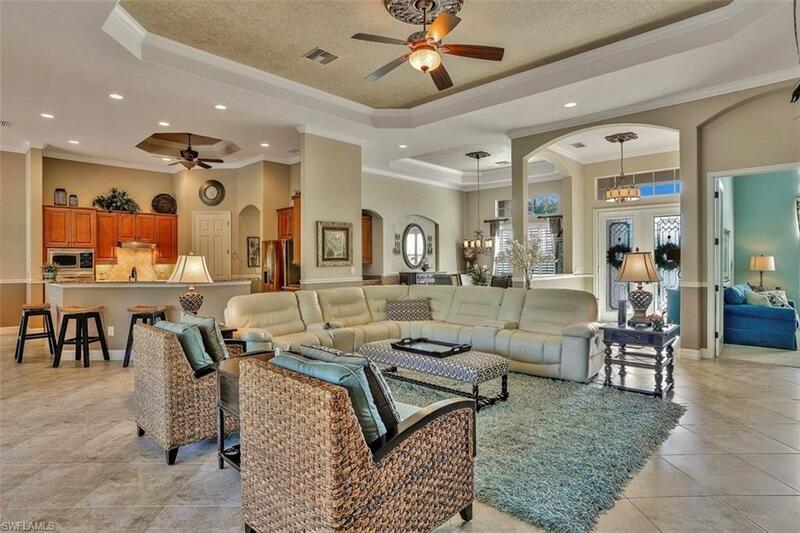 Enjoy the outdoors with large lanai & pool area containing heated pool/spa, pool bath and full outdoor kitchen. Large sliders open from living room out to pool area. The kitchen features granite counters, gas cooktop & stainless steel GE Profile Appliances. Home Upgrades include diagonal tile in main living areas, tray ceilings, crown molding, chair railings, plantation shutters, bay windows and double front entry doors with decorative glass & disappearing screen. 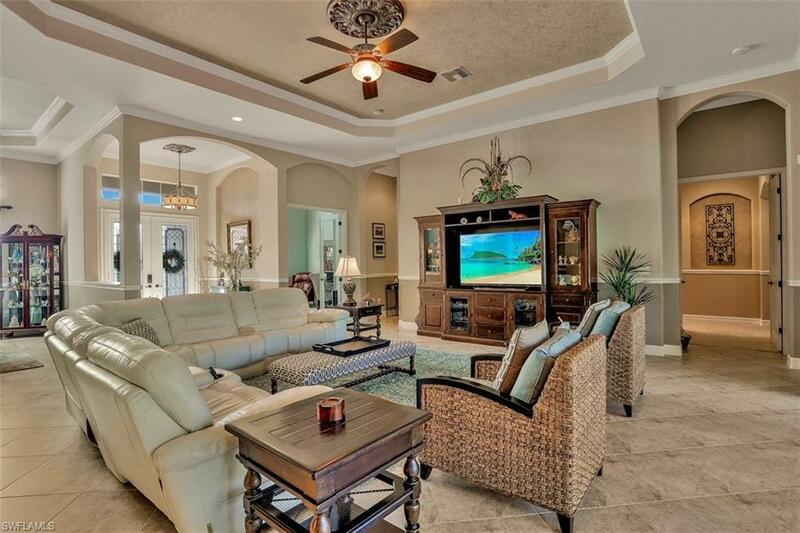 Located in highly desirable community of Verandah which offers 36 holes of Championship Golf, restaurants with dining, fitness center , resort style pool , tennis, dog park and 9 miles of walking trails mainly through tranquil preserve areas. THIS HOME & COMMUNITY HAVE SO MUCH TO OFFER! 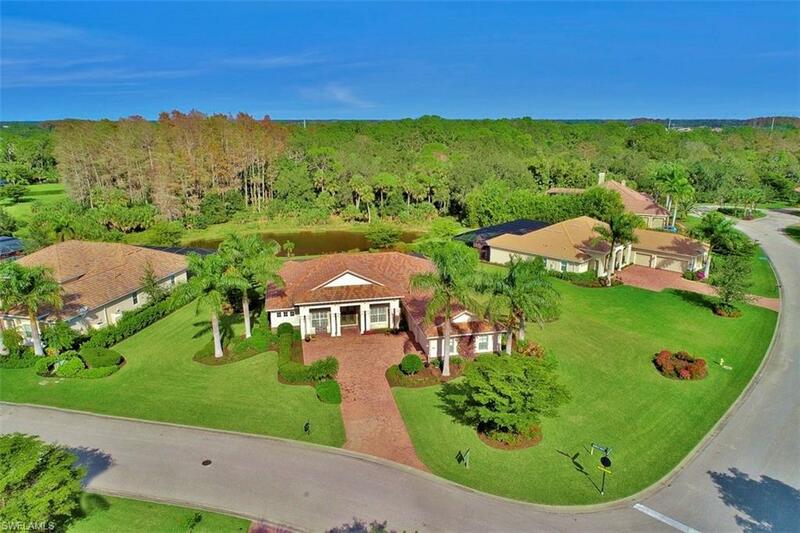 Listing courtesy of Rob Keller of Berkshire Hathaway Florida.